What is the next step after installing WordPress? Typically, you can go ahead and start publishing content, though more commonly new bloggers will want to find a decent theme first, one that reflects the type of content that you are going to share. These days WordPress bloggers have access to thousands of WordPress themes, which cater to simple blogging categories, but also for business and portfolio purposes. It’s all about what you want to do with your blog. In this post, we will explore the process of setting up a new WordPress theme from the free market, and then take a closer look at the reasons why purchasing a premium theme might make your blogging experience so much better. 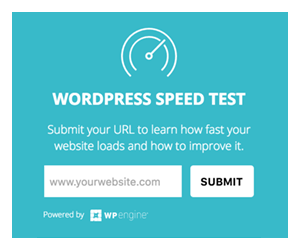 You don’t need any previous WordPress experience to learn from this post. The only requirement is that you have installed a new WordPress installation and that you have access to your Admin Dashboard. 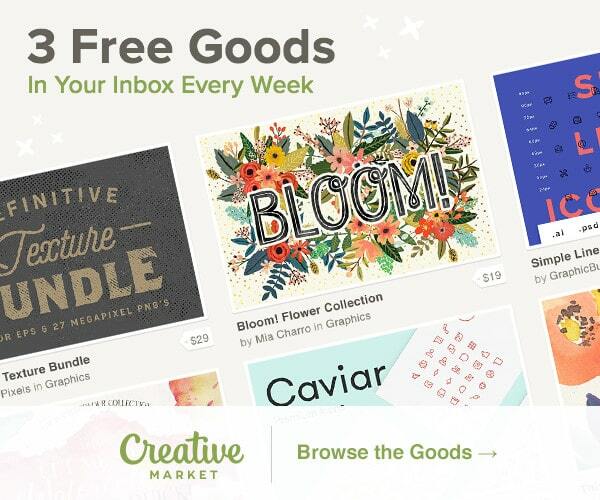 Believe it or not, there are thousands of free WordPress themes that you can find on the web. One of the most prominent resources of its kind is the official WordPress Theme Directory, where you can find and narrow down themes based on your personal needs. As it happens, we at PremiumCoding also partake in the free theme movement and have contributed several free themes to the WordPress community. So to keep it close to home, we will use one of our own themes for the purpose of this tutorial. To show you how to step it up, we will then use the premium version of that same theme to show you why premium themes are better than free, and why you should consider upgrading. Please note that you don’t have to use the Everly theme specifically, as we are only using it for demo purposes, most WordPress themes will have a similar installation process. Click the above button to download Everly Lite. What makes Everly Lite a great theme? Mobile-friendly: Forget about using third-party plugins to make your site responsive, with Everly your blog is automatically adjusted for optimal performance on any device, be it a tablet or a mobile smartphone. Quick setup: Everly has a featured called ‘one-click demo import’, which will allow new bloggers to import an existing layout and its parameters with a single click of a button. Modern design: It goes without saying that the design Everly uses is modern, smooth, and appropriate for personal blogs and magazines alike. The combination of carefully designed layouts and great typography choices ensures that your content is easy to read and share. Social features: These days a blog can’t go far if it doesn’t establish social media presence. Everly makes sure that all your social media needs are met instantly The theme includes social media sharing widgets and feeds, as well as an inbuilt newsletter form to start collecting email subscribers from day one. That, of course, is just the tip of the iceberg. There’s a lot more that Everly has to offer, so we hope that you will take a minute of your time to check it out fully. Perhaps you’ll find that it’s a suitable theme for your current blog. Now, let’s get on with installing the theme and seeing how to set it up. Once you have downloaded your free theme of choice, it’s time to upload it to your WordPress and activate it. Go to your Admin Dashboard and find the Themes tab, click on Installed Themes, and then find the button that says Add New. Once you click Add New, you will see another button in the same place that says Upload Theme, click on that and select the theme from your computer for uploading. Important note: The WordPress theme management interface allows you to search for free themes within the Admin Dashboard, using custom specifications and needs, but for this demo we are uploading our own theme as an example. As soon as your theme upload is finished, you will be redirected to the following screen (my example uses a WP Multisite Network, in your case you are likely going to see a button called Activate) and have the option to enable the theme by clicking Activate. Click the button, and the theme will be live on your site. At this point, your theme is activated on your site and you can preview how it looks by visiting your homepage. Keep in mind that all WordPress themes require intensive modification before they start to look appealing. 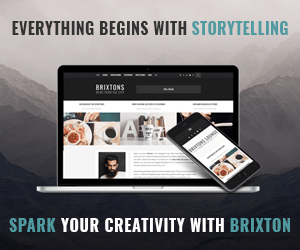 This is why Everly Lite is a superb choice for any new blogger — you can quickly import demo data to transform your website into a fully functional blog within seconds. Everly Lite Theme — Without modification. As you can tell, it doesn’t look very appealing at first, so let’s work on getting this theme look amazing. To import Demo data and transform your design, go to Appearance >> Theme Options in your WordPress Admin Dashboard. There you will be greeted by Everly’s theme dashboard and options panel, on the left-side sidebar, navigate to the Import choice. Once you are there, all you have to do is click the Import Demo button once, and your site will be automatically populated with demo data of Everly content, styles, and different configurations for sidebars and menus. The end result is that your site now has a better design, demo content, custom menus, and sidebar widgets that will make it much easier for you to make adjustments and any final design changes. This is what your WordPress Blog will look like after you have imported the demo data. Within minutes your blog looks totally different and much more appealing to the eye. It’s so easy, you might think there’s a catch, but there really isn’t. This is what makes the Everly theme so great, but it’s not just the demo data that helps you to customize your site, it’s also the custom theme options that you can modify with Everly theme. Let’s take a look at what those are. General Settings — Here you can modify the layout of your blog. Choose from a traditional blog layout, or a grid type. You can also choose from showcasing a Top Bar, Posts Blocks, and Instagram Blocks. Upload a custom Logo if you have one. Home Page — This panel lets you modify the custom post blocks showing up on your homepage, as well as specify the necessary details for displaying an Instagram block. Blog Pages — Within these settings, you can configure whether you want to show certain data on your blog posts and pages. You have the option to remove related posts or strip the metadata completely. Typography — Everly uses Google Fonts, which means you have access to more than 600+ free fonts that you can customize for any part of your website. In this panel you have the option to change font styles for blog titles, content, and other parts of your blog. Social Options — Here you will add your social media information that will show up as icons on your blog. Error Page — One of the great things about Everly is that it favors customization, so you can actually make your own custom Error 404 page to create a more personalized design experience. Footer Options — And finally you have the Footer settings where you can specify information about your brand and/or business. Certainly, all of these settings could be achieved without Everly, too? You’re right. But what makes this theme so special, and convenient, is the fact that you don’t have to install custom plugins to achieve all these features. They’re right there at your disposal and don’t require any prior coding skills. Needless to say that all these features come packed in the free version. Having said that, it’s time we move on to explore what Everly Premium can offer to you, and why make the switch from a free WordPress theme to a premium WordPress theme. What makes premium themes better than free? You might be questioning the purpose of premium themes, and whether it’s worth investing $35, $50, and in some cases more, into a premium theme for your WordPress blog. It’s true that there isn’t a shortage of great free themes to pick from, but we will use the following section to really understand what makes premium themes better than free, and why it could help to enhance your blogging experience. If you plan to eventually earn revenue, or promote products, on your blog, you will want to invest in a premium theme solely because of the unique design that it can provide. While some premium themes have thousands of purchases (although those are usually highly customizable), the average premium theme has anywhere from 20 to 150 purchases — making it less likely for you to ever run across another website that is using the same design. Having a unique design in a specific niche that you’re writing in can have a huge leverage over the perception others have of your blog. One of the hardest things about managing a free WP theme is the fact that you have to rely heavily on external plugins to improve your site’s functionality. This, in turn, can slow down your blog and makes it less appealing to a crowd that enjoys websites with fast load times. Whereas with premium themes, you’re guaranteed to get a much more sophisticated Theme Options interface that will allow you to modify nearly every single aspect of your blog. Apart from that, themes like Everly Premium come pre-packaged with custom widgets like Content Sliders, Post Templates, Gallery Designs, and Advertising Widgets that would otherwise require you to use separate plugins to enjoy. Certain things are essential for the success of any old or new WordPress blog. It’s search engine optimization and website speed optimization. Not only do search engines consider speed as a ranking signal, your visitors are also expecting your website to be fast and convenient. There is nothing stopping them from visiting another resource on another website if yours takes forever to load. When it comes to premium themes, it’s mandatory for developers to ensure that the given theme has great SEO capabilities, and is built on a codebase that’s optimized for best performance. This can often be a problem with free themes because developers don’t pay nearly as much attention to the detail. Instead just bloat the theme with useless widgets and features that slow your site down. Having a theme that can minify your script files, and automatically generate metadata is a wonderful way to save time, and performance by not having to use third-party plugins to do it for you. Want to fix something, but don’t know how? Did you try to change something and your site broke? Typically with a free theme, you won’t be able to find answers that easily, making it hard for you to remain productive with your blog as you slowly build it towards your ideas and goals. With premium themes, you are always guaranteed to have the support of the company or the individual who produced that particular theme. We at PremiumCoding take pride in giving our customers the best support that we can so that customers can enjoy an effortless blogging experience while reaching their design-specific goals. The last thing your website/blog needs is to get hacked, and while it’s not overly common for WordPress themes to be open to vulnerabilities, it is common for premium theme developers to create their themes with latest security standards in mind. The reasoning is simple, a poorly built theme that compromises the security of a client’s website is going to leave a big stain on the reputation of that developer. You can go waiting for years before a free WP theme gets an update, whereas premium developers are always on the lookout for customers needs and suggestions. Keeping a theme updated means that it also stays fresh and relevant, which is so crucial in these rapidly evolving times of design capabilities. Whether it’s fixing a certain bug or adding new features — premium themes tend to be updated much more frequently than their free counterparts. Below is an infographic designed by a WordPress website to help you know the insights and differences between Premium and free WordPress themes. The nice thing about WordPress is that everything is generally kept simple, and mostly intuitive. Setting up your own unique WordPress theme and creating your new blog is quick and effortless. The amount of guidance available for helping you figure out certain features is unprecedented, and the WP Community in general, is some of the nicest people you will meet on the web. Remember to test things out, always ensure that you’re happy with how your website looks, and when the time comes to upgrade to a premium theme — take into account the long-term plans for your blog. Hi! I tried installing the lite version so I could try it out and see if it is going to be a good fit for my blog. This is the message I got . . .
Theme is missing the style.css stylesheet – this is probably the single most asked question related to WordPress. It doesn’t mean there is anything wrong with the theme, you just need to uninstall the first package. Inside you will find the Theme, documentation, necessary plugins, child theme, and demo content. So make sure that the file you are uploading is named simply everly-lite.zip which is the main theme. Thank you and enjoy the theme. I installed the premium Everly. I’m pretty clueless on what I’m doing but I did the Import Demo and my home page did not change. Then I thought maybe I didn’t Import Demo and did it either for the first time or again. Should I uninstall Everly and reinstall. Ugh! Scratch last comment. Now I’ve got double. Should have went with a free theme somewhere else. Can I get my money back? A free theme will not work any differently. You still have to set the front page yourself. That’s no different in any theme. We can set it up for you to look exactly the same as live demo. Just write via support (your account). hi. I have the premium theme. For the life of me, I can’t seem to find how I shorten my blog posts. At the moment my full blog posts are showing up on the page, but I only want a summary and then a continue reading button. I’m not sure how to achieve this. Any help would be appreciated. Thank you. I knew it would end up being something right under my nose! Thank you for the help. What are the suggested image dimensions for the Custom Logo, Custom Retina Logo, and Custom Scroll Logo? which theme are you asking for? The Every Lite theme. Thanks! Everly* Lite – sorry about the typo, and thank you for your help! I followed the tutorial, but somehow I can’t import the demo of the Everly Lite theme, I get an ERROR 500 message. Can you please help me with that? I have installed the free version. According to documentation PDF I am supposed to have a tab named “styling options” under “Blog Posts” in Theme options but I don’t have any. Can I not change only the accent color according to my brand? Do I need to have a Premium version for this? only premium version has an option for styling the theme. A free theme doesn’t include this. b) Afterwards i tried it manually with the file “everly-demo-content.xml” -> i got this huge list of errors e.g. Media „amory-favicon“ already exists or “Import media „12“ failed”. If I am looking at my website it looks different from before importing the demo (showing demo posts) but other than that it still looks the same as before importing. How can I import the demo correctly? This is server timeout error. You will need to change php.ini file. The best is if you contact your hosting provider about this. If you purchased the theme you can also contact us via support channels / email. I’ve installed the theme and I love it but it keeps cropping my featured image so that the image is cut off on the bottom. Anyone have any help?